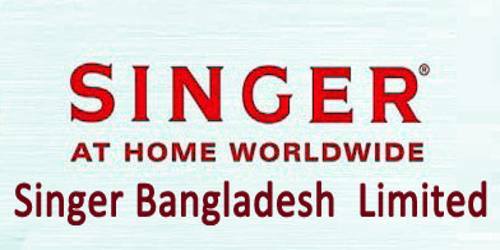 It is a broadly described annual report of Singer Bangladesh Limited in the year of 2014. During the financial year, The Company paid Taka. 2,671 million to the national exchequer in the form of corporate income tax, customs duties, and value-added tax. Turnover for the Company increased by 9.94% compared to prior year and reach Taka. 7.3 billion. During the year revenue reached Taka. 7,262 million which was higher by 9.94% over the previous year’s revenue of Taka. 6,605 million. Gross profit of the Company for the year under review reached Taka. 1,839.7 million compared with Taka. 1,785.5million in the previous year, an increase of 3.0%. Operating profit (profit before taxes excluding other income) at Tk. 529.66 million was lower by 3.04 % over the previous year’s operating profit of Taka. 546.26 million. Net profit for the year at Taka. 362.34 million was lower by 5.2 % over the previous year’s net profit of Taka. 382.13 million. Cost of goods sold for the year 2014 was Taka. 5,422 million and it was higher by 12.50 % over the previous year’s cost of goods. The Directors recommended a final dividend of Taka. 6.0 per share (Cash Taka. 3.5 per share and Scrip Taka. 2.5 per share) amounting to Taka. 368 million for the year ended 31st December 2014.